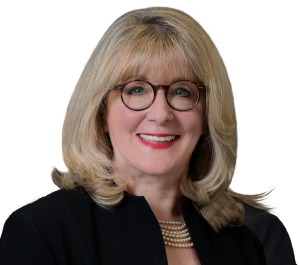 The Philadelphia personal injury law firm Feldman Shepherd Wohlgelernter Tanner Weinstock Dodig LLP is proud to announce that personal injury attorney and firm partner Roberta D. Pichini has been named the president of the prestigious International Academy of Trial Lawyers (IATL). Chartered in 1954 to facilitate the administration of justice and promote the rule of law internationally, IATL limits its invitation-only membership to 500 U.S. fellows, as well as fellows from more than 30 other countries. Prospective fellows undergo a rigorous review that includes legal skills, character, integrity and trial record. Pichini is the first woman to serve as president of the IATL and was the first woman in Pennsylvania to be invited to join the elite organization. She served as IATL’s secretary-treasurer and dean before being elected vice president in 2009. As president, Pichini will lead the Academy and its members in furthering the organization’s mission of cultivating the science of jurisprudence, promoting legal reform and elevating the standards of integrity, honor and courtesy in the legal profession. Pichini has litigated countless cases during her more than 25 years of practice. She represents seriously injured infants, children and adults in medical malpractice matters, such as obstetrical negligence, delayed diagnosis of cancer, emergency room errors and patient abuse by therapists, as well as victims injured by defective products and by catastrophic auto and boating accidents. In recognition of her outstanding advocacy, Pichini is also a fellow of the American College of Trial Lawyers. Fellowship in the College is by invitation only, and is extended to those trial lawyers who have mastered the art of advocacy and demonstrated the highest standards of ethical conduct, professionalism, civility and collegiality throughout their careers. Most recently, Pichini was named among the 2011 Lawdragon 500 Leading Lawyers in America. The Lawdragon 500 lists the best of the legal profession nationwide based on a combination of written attorney submissions, online votes, comments through online balloting and editorial research by Lawdragon staff members. She is a member of the American Board of Trial Advocates and the elite Million Dollar Advocates Forum.